Why We Make New Years Resolutions and How to Make It a Green One This Year! Ancient people practiced the fine art of New Year’s resolutions, though their oaths were external, rather than internally focused. More than 4,000 years ago, the ancient Babylonians celebrated the New Year not in January, but in March, when the spring harvest came in. The festival, called Akitu, lasted 12 days. An important facet of Akitu was the crowning of a new king, or reaffirmation of loyalty to the old king, should he still sit on the throne. Special rituals also affirmed humanity’s covenant with the gods; as far as Babylonians were concerned, their continued worship was what kept creation humming. Centuries later, the ancient Romans had similar traditions to ring in their new year, which also originally began in March. In the early days of Rome, the city magistrates’ terms were defined by this New Year’s date. On March 1, the old magistrates would affirm before the Roman Senate that they had performed their duties in accordance with the laws. Then, the New Year’s magistrates would be sworn into office. After Rome became an empire in 27 B.C., New Year’s Day became a time for city leaders and soldiers to swear an oath of loyalty to the Emperor. As Romans gradually became less warlike, the switch from celebrating the New Year during a month (March) associated with Mars, the god of war to one (January), associated with Janus, a god of home and hearth, seemed appropriate, he added. The first half of New Year’s Day in Rome would have been taken up by public ceremonies, oath-taking and temple sacrifices, he said, while the second half of the day was for social activities. Citizens would bring each other gifts of honey, pears and other sweets as presents for a “sweet new year,” Alston said. There is no direct line from ancient Roman tradition to modern New Year’s resolutions, but the desire to start anew pops up repeatedly in western civilization. In 1740, John Wesley, the founder of Methodism, invented a new type of church service. These services, called Covenant Renewal Services or watch night services, were held during the Christmas and New Year’s season as an alternative to holiday partying. Today, these services are often held on New Year’s Eve, according to the United Methodist Church. Worshippers sing, pray, reflect on the year and renew their covenant with God. New Year’s resolutions have become a secular tradition, and most Americans who make them now focus on self-improvement. The U.S.government even maintains a website of those looking for tips on achieving some of the most popular resolutions: losing weight, volunteering more, stopping smoking, eating better, getting out of debt and saving money. Here are some Green options to add to your list of New Years Resolutions . 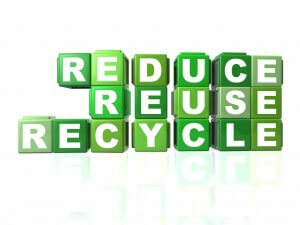 1) Drink Less Bottled Water and Soft Drinks: It takes a tremendous amount of energy to produce a plastic bottle. So why not use a water filter to drink tap water? Or use a water filter in a water container? Both are easy and much less costly than buying bottled water or expensive soft drinks. 2) Drive Less Often: Walk, bike or take public transport to work. Ask your employer if you can telecommute 1-2 days per week to further minimize your carbon footprint. Whatever you can do will mean you’re driving less and creating less pollution. 3) Use Recyclable Shopping Bags: Over 1 million plastic bags are used every minute of every day worldwide. We recommend keeping a few recyclable vinyl or canvas bags in your car and using them every time you shop. You’ll be amazed at how many plastic bags you can eliminate weekly by doing this one simple step. 4) Take Shorter Showers: Where Americans use an average of 100 gallons of water per day, Europeans only use about 50. All countries need to conserve water and we know that in Marin County, we’re in the middle of a multi-year drought. So have the mindset to use less daily by taking shorter showers, turning off the water at the faucet when you brush your teeth, and only flush the toilet when you absolutely need to. 5) Cut Your Paper Use: A ton of paper from recycled paper saves up to 17 trees. Recycle your newspaper, computer paper, envelopes and other papers you receive daily. Start a digital subscription to your magazines or newspapers. Request electronic statements from your bank and utilities. 6) Recycle Your Bottles, Cans and Compostables: More U.S. cities are offering expanded programs for curbside recycling, especially throughout the San Francisco Bay Area. Ask your local waste management provider about it. 7) Green How You Eat: Consider fresh, organic ingredients from your local farmers’ market or grocery store. These are grown without pesticides and are healthy for your whole family, too. 8) Green Your Garage: A hybrid car used to be unusual, today, most car manufacturers offer hybrid or even all-electric cars that drastically cut your dependence on fossil fuels. At Good Green Moving, we’ve been able to reduce our carbon emissions by 80%. Furthermore, when available, we use recycled vegetable oil to power all of our vehicles and utilize 100% renewable energy to power our warehouses. 9) Green Your Home with Sustainable Materials: Think about an eco-friendly home that has bamboo flooring, a cotton or hemp shower curtain, zero-VOC paints, wooden blinds from sustainable forests, and more. 10) Let The Sun Be Your Energy Source: Finally, let the sun do the work for you. The latest solar powered photovoltaic systems are more energy efficient than ever and can get you off the grid. You’ll not only lower your electric costs, you can even earn energy credits by selling your excess energy to the power company. Blogger’s Note: The world is seeing the start of a global shift toward Renewable Energy as a primary source of power. 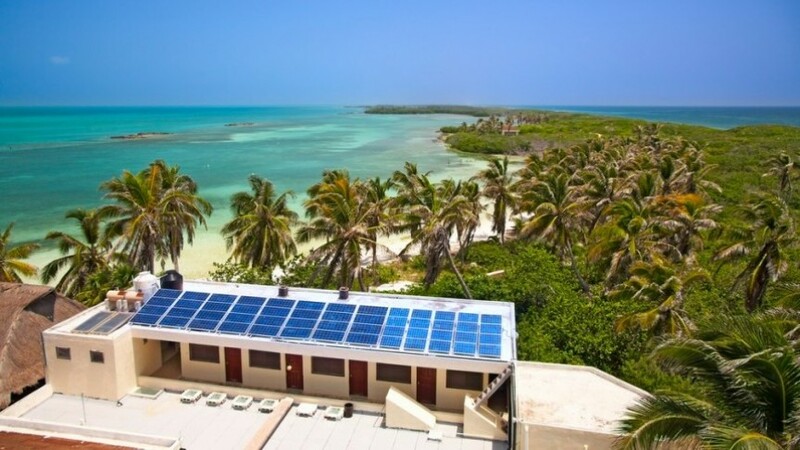 With several organizations focusing on bringing alternative energy technology to third world countries in hopes of growing their economy and bettering their standard of living through affordable utilities, there are some unexpected leaders developing in the renewable energy world. A recent article in the British newspaper The Guardian discusses how Africa could quickly become the cleanest continent. An Africa-wide mega-scale initiative backed by all African heads of state should see the continent greatly increase its renewable energy over the next 15 years. The African Renewable Energy Initiative (Arei) plans to develop at least 10 GW of new renewable energy generation capacity by 2020, and at least 300 GW by 2030, potentially making the continent the cleanest in the world. 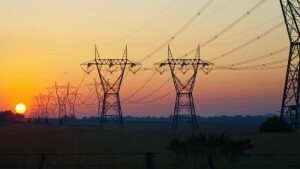 The International Energy Agency, which has said that Africa is at the “epicentre of the global challenge to overcome energy poverty”, estimates that annual electricity consumption per capita in Africa for 2012 was around 600 kWh, compared with the world average of 3,064 kWh. The plan to accelerate solar, hydro, wind and geothermal energy could see Africaleapfrogging other continents by developing thousands of small-scale “virtual power stations” that distribute electricity via mini-grids and would not require transmission lines, which involve a loss of up to a quarter of power during the process. 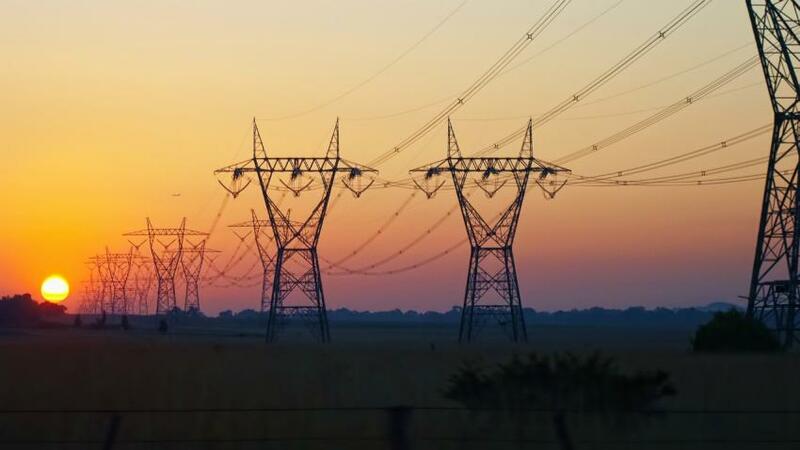 The initiative, which is tentatively estimated to cost at least $500bn over 20 years, is billed as “by Africa, for Africa”, and is intended to reduce Africa’s present reliance on coal. As well as reducing emissions, it will help at least 600 million people switch from lighting homes and cooking with diesel, kerosene and wood, and reduce air pollution in homes and cities. 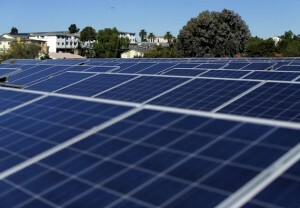 Solar is expected to play a leading role. “We are ready to engage in massive solar and wind energy production to attain 100% electricity reach for our people,” said Judi Wakhungu, Kenya’s environment cabinet secretary. Speaking at the launch of the initiative at the COP 21 talks in Paris, the president of the African Development Bank (AfDB), Akinwumi Adesina, said the continentcurrently loses 4% of its GDP due to a lack of clean energy. “Africa is the continent suffering the most from the scorching heat from rising temperatures, and droughts have become more frequent and with greater intensity than ever before. Africa needs more money for adaptation. “The continent has been short-changed by climate change. But we must ensure that it is not short-changed by climate finance. AfDB will triple its climate finance to $5bn a year by 2020,” he said. Sub-Saharan Africa is the only region in the world where the number of people without access to electricity is set to rise. By 2030, Africa’s share of the world’s population without electricity will increase from less than half today to more than two-thirds. Detailed plans for each country will be worked out over the next five years, but the AfDB and other financial groups, including the World Bank, have pledged an initial $5bn. News of the initiative comes as a coalition of 12 countries, including the Democratic Republic of the Congo (DRC), Ethiopia, Kenya, Liberia and Malawi set themselves a goal to replant 100m hectares (247m acres) of forest across the continent in the next 15 years. It follows the successful planting of millions of trees and bushes in parts of Tigray, Ethiopia, and elsewhere where droughts, overgrazing and deforestation have devastated and eroded landscapes. Where land has been replanted with trees and bushes, farming communities have seen rapid improvement in soils, water supplies and increased food security.